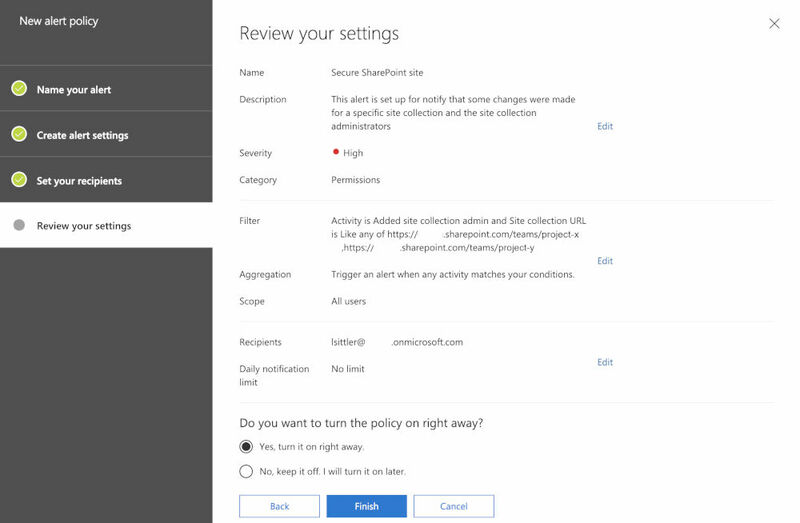 On your Microsoft 365 environment, you need to create multiple accounts with the "SharePoint Administrator" role, but by doing so, you take the risk that these user accounts will gain access of "sensitive" data stored in SharePoint sites collections. Currently, you cannot prevent one or more of these user accounts to access specific SharePoint sites (that makes sense, they are SharePoint administrators) 🤨! So, how to secure this specific SharePoint sites? You cannot 😁... not in the true sense of the word! 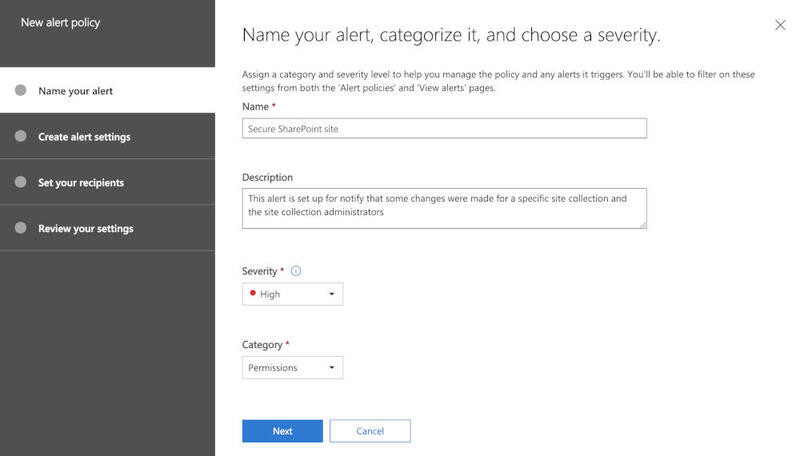 You can configure alert policies such as "added site collection admin" to be notified or all activities in relation with sharing, users and group management of one of several SharePoint actions. You will be notified as soon as at least one Sharepoint criterion is met. 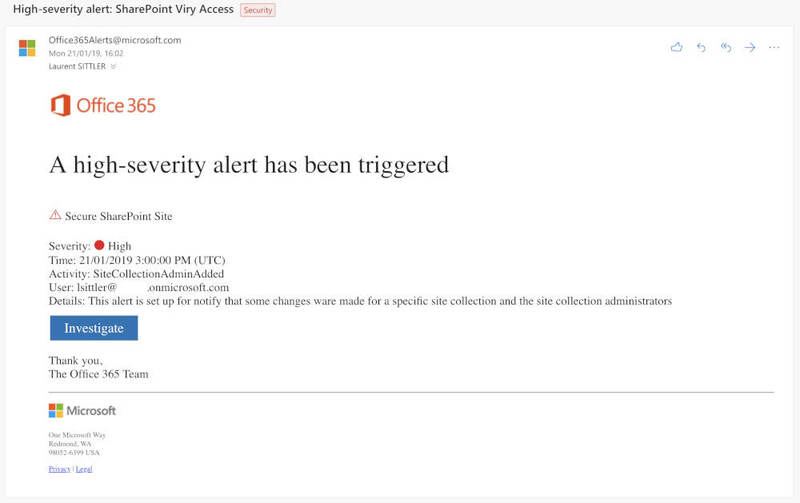 Severity: to help with tracking and managing the alerts generated by a policy ("Assigning a higher severity to activities that can result in severely negative consequences, such as detection of malware after delivery to users, viewing of sensitive or classified data, sharing data with external users, or other activities that can result in data loss or security threats"). Category: to help with tracking and managing the alerts generated by a policy. Select an activity: use a filter to find quickly the type of activity. 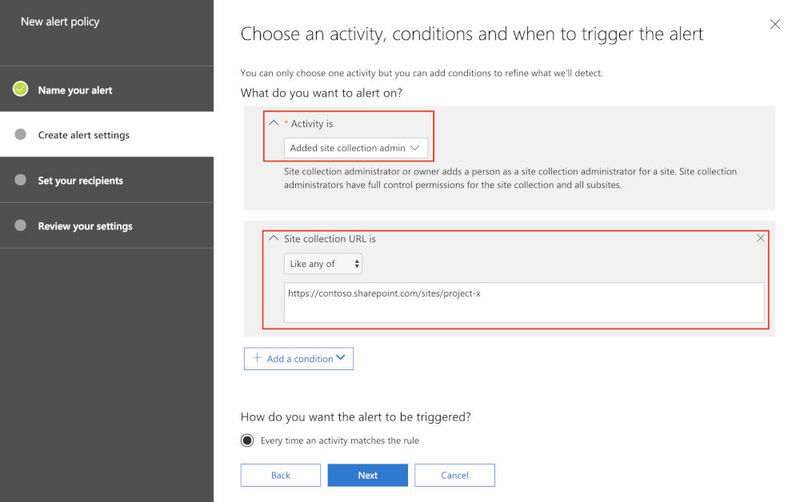 In our case, we want to be alerted when a site collection admin is added, so, we choose Added site collection admin. Important: if you site collection uses security groups rather than user accounts as site collection administrators, this kind of alert will does not work.